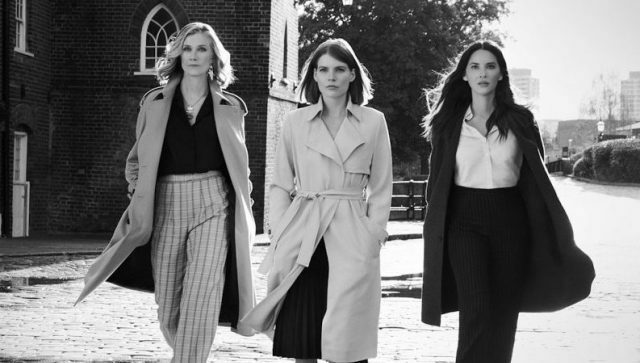 Starz has released the first photos from their upcoming female-led supernatural spy thriller The Rook, offering us our first look at Emma Greenwell, Joely Richardson and Olivia Munn’s characters Myfanwy Thomas, Linda Farrier and Monica Reed. Set to debut this summer, the series is based on Daniel O’Malley novel of the same name. Check out the full photos in the gallery below! The Rook will follow the story of a woman named Myfanwy Thomas, who is pursued by shadowy paranormal adversaries while grappling with extraordinary abilities of her own. She suddenly wakes up in the rain beside London’s Millennium Bridge suffering from total amnesia — surrounded by dead bodies, all wearing latex gloves. She must fight to uncover her past and resume her position as a high-ranking official of Britain’s most secret (supernatural) service called the Checquy before the traitors who stole her memory can finish what they started. The series will be led by Emma Greenwell (The Path) as Myfanwy Thomas, Joely Richardson (Nip/Tuck) as the female head of the Chequey named Linda Farrier, and Olivia Munn (X-Men: Apocalypse) as Officer Monica Reed who described as “a bold American intelligence officer with subtle paranormal abilities”. Also starring are Paula Patton (Somewhere Between) as the lead villain, and Adrian Lester (Hustle) as Conrad Grantchester, along with Ronan Raftery (The Terror) and Catherine Steadman (Downton Abbey) as the Gestalt siblings. Shelley Conn (Mistresses) and James D’Arcy (Agent Carter) have also been cast for key recurring roles. The Rook is adapted and co-produced by award-winning playwrights and screenwriters Sam Holcroft (Rules for Living) and Al Muriel (Precious & Rich), based on the novel by Daniel O’Malley. It is executive produced by Stephen Garrett (The Night Manager). Lisa Zwerling and Karyn Usher have both signed on as the series’ showrunners, replacing The Twilight Saga author Stephenie Meyer, who have left the show due to creative differences. The post The Rook Photos Reveal First Look at Starz’s New Supernatural Series appeared first on ComingSoon.net.